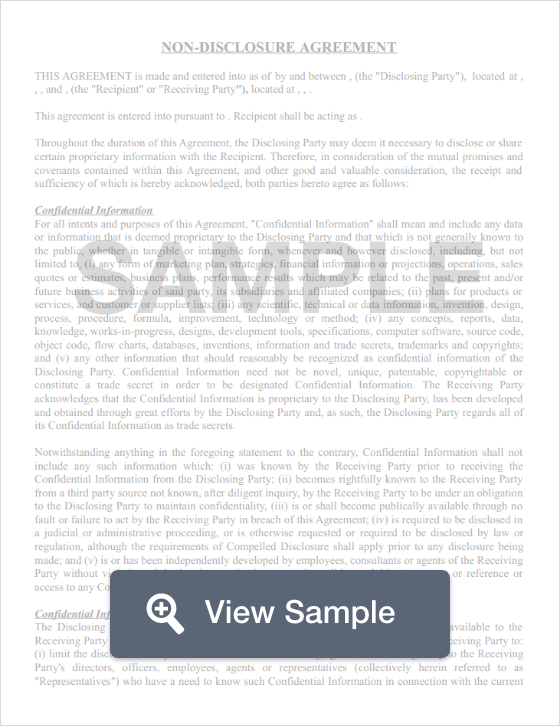 What is a Massachusetts Non-Disclosure Agreement? Massachusetts Non-Disclosure Agreement: What Is It? A Massachusetts non-disclosure agreement is a legally binding document between a business and its employees or contractors. The purpose of a Massachusetts non-disclosure agreement is to prevent employees or contractors from giving business secrets to competitors or the public. However, in order for a Massachusetts non-disclosure agreement to be legally enforceable, you should make sure that it is both specific and reasonable in nature. Non-disclosure agreements and trade secrets are governed by two specific sets of statutes in Massachusetts. In Mass. Gen. Laws. ch. 266, § 30, one may find the penalties for stealing trade secrets. In Mass. Gen. Laws, ch. 93, § 42A defines the relief that a business may be entitled to receive if someone violates their NDA. Because the purpose of an NDA is to protect confidential information, it is important for those using this non-disclosure agreement to understand how the State of Massachusetts defines the term “trade secret.” This information is found in Mass. Gen. Laws. ch. 266, § 30. A trade secret includes tangible or intangible information that may or may not be kept electronically. It could be evidence or records of something scientific, technical, related to merchandising, production, or management information. It could also be a design, process, procedure, formula, invention, or improvement. To ensure that the NDA complies with Massachusett laws, it is important for businesses to be clear about what information they consider a trade secret. It is also helpful for a business to do what they reasonably can to keep that information private. Another important contract that should be used with this NDA is a Massachusetts noncompete agreement.